software (if you read my blog at all then you would know there is a difference). The sheer amount of technology offered by ACS can be overwhelming. Although they used to be completely focused on church software, they are now expanding into schools and daycares. They also have a pretty nifty tool called "The Extend Platform" for creating a website and an online community for your church. This software has a lot of features that I really like. One of its best features is the ability to generate reports. If you have been consistently entering in your church’s financial information, then you can select the period of time you are interested in and ACS will automatically generate the report for you. You can customize the reports so that they have the information you need. Another feature that comes in handy is the ability to export your information to excel. While this feature will not benefit everyone, it should help appease the multitude of excel lovers in the world. This example also shows you what the software looks like. If I had one complaint about the usability, it would be the visual appearance of the user interface. As you can see from the image above, the grey and white color scheme is reminiscent of the early 90’s when computers were just taking off. I guess I just have to remind myself that I’m an accountant and I’m supposed to be boring. 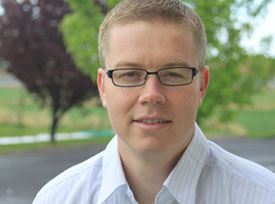 A lot of churches, especially newer churches, are concerned about being in compliance with the IRS and in some situations the FASB. ACS accounting software will help you to be compliant with both of these government organizations. That being said, software alone, can never guarantee compliance. Making sure you are in touch with a CPA (Certified Public Accountant) is very important as you work to become compliant with governmental organizations. No review would be complete without talking about price. And you won’t find a price tag easily on ACS’s web page. This is a strategic move by the company. Some people prefer to see the price up front so that they can make a quick decision about whether or not the software is even feasible (I fall into this category and was slightly annoyed that ACS didn’t offer any pricing for their church accounting software on their website). When websites don’t disclose the price, I automatically think that the product is going to be very expensive, though I realize this is not always the case. To ACS’s defense, they offer a wide variety of customized church software. You can’t put a single price tag on a customizable product; that doesn’t mean they can’t give you a range though! It appears that for now, you’ll simply have to call them or meet with a local sales representative to see how much their software would be for your church. Most people seem fairly happy with ACS’s customer support. Like most businesses, they have an online “Knowledge Base” where you can go for help. These knowledge bases have FAQ’s and a Problem/Solution format that can be helpful. Although the company would probably prefer you spend some time browsing their knowledge base before contacting them directly, you can always call them if you need help. You can’t really blame them for wanting to leave work at 6pm on a Friday; and many Christians don’t believe in working on Sunday (their Sabbath Day). If a knowledge base or a phone call isn’t your preferred method, you can also contact the ACS support people through email. I’m not talking about spiritual conversion here, but conversion from your old accounting system to the ACS Church Accounting System. The ACS team will help you convert from your old software to theirs. To my knowledge they do have a setup fee. It has been my experience, that anytime you have to convert to a new accounting software system you are in for a real headache. That being said, ACS does as much as any other company to get you up and running with their new system. 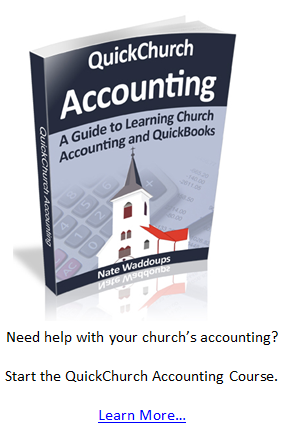 I’m not actually a MAC user, but some MAC users have mentioned that they avoid ACS church accounting software because it is not compatible with the MAC. However, ACS does have something called "ACS OnDemand." Supposedly using this product you will be able to access your financial information using a MAC. Note: You can always try running your MAC on Windows mode while using their Financial Suite software. This software can be as complex or as simple as you want it. If you only want the software to track your church’s finances, it can do that. If you want it to track membership, attendance, baptisms, etc., it can do that. Keep in mind that the more features you add, the higher the price you will have to pay. Because my site is not affiliated with any other church accounting software site, I will try to never promote one option over the other. I have tried to give the software as unbiased a review as possible. On all my reviews I hope that interested/experienced parties will comment. The comments add a lot to the value of the review and I will update my reviews when needed.